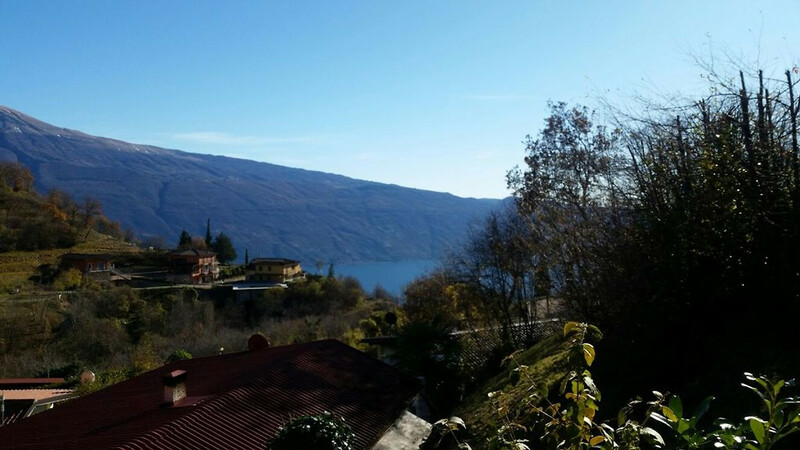 Detached holiday home (B-37) with beautiful panoramic views on the Monte Baldo and Lake Garda in the resort &#39;Villaggio di Sunclass&#39;. Heated communal pool. 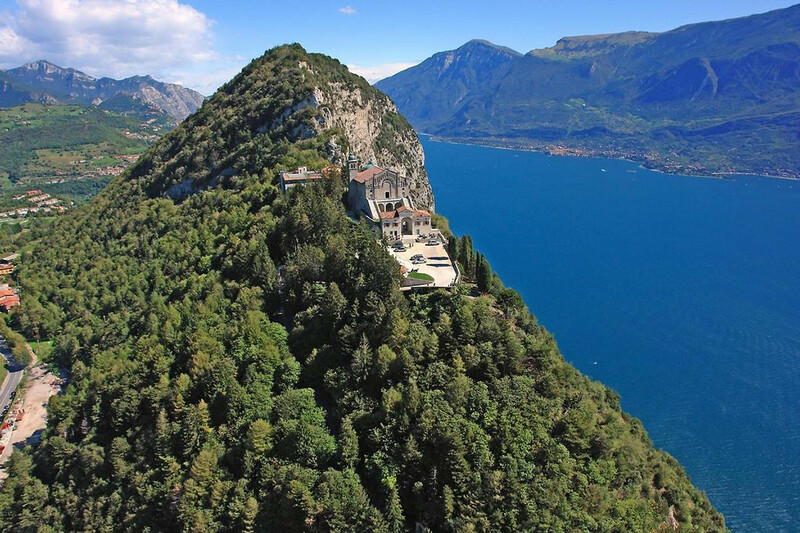 Gardabungalow (B37) is located in the holiday park Villagio di Sunclass, in the Natural Park Parco Alto Garda Bresciano, about 600 m above Lake Garda and only 350 m (about 15 minutes walk) to the central facilities and swimming pool. For questions, a pair of administrators is available. This bungalow is still being renovated before the end of May (everything is already painted and painted) and has a floor space of about 60 sqm. 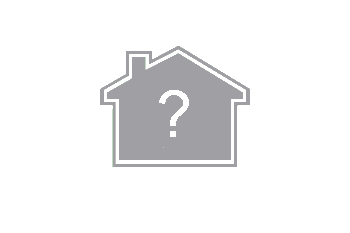 The house is quietly located at the end of a cul-de-sac with a small garden and a parking lot in front of the house. 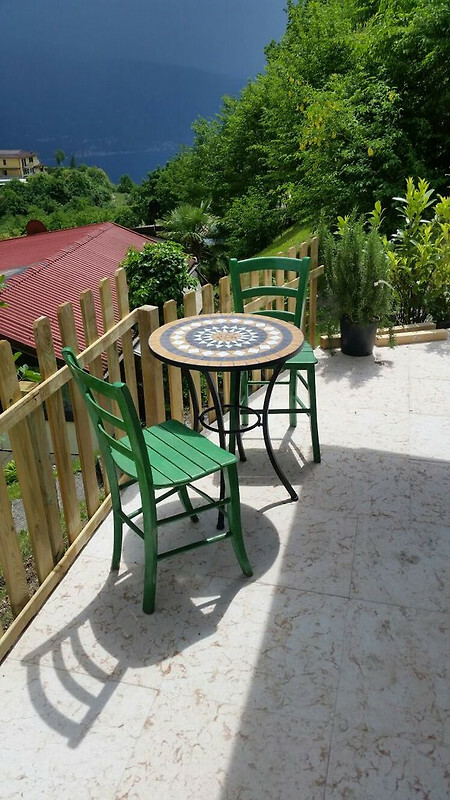 Spacious living and dining area: kitchen with ao microwave, large fridge freezer and fully furnished living room with satellite TV (German and Dutch), DVD player and wood stove (before and after season). Bathroom with sink and barrier. Separate toilet. 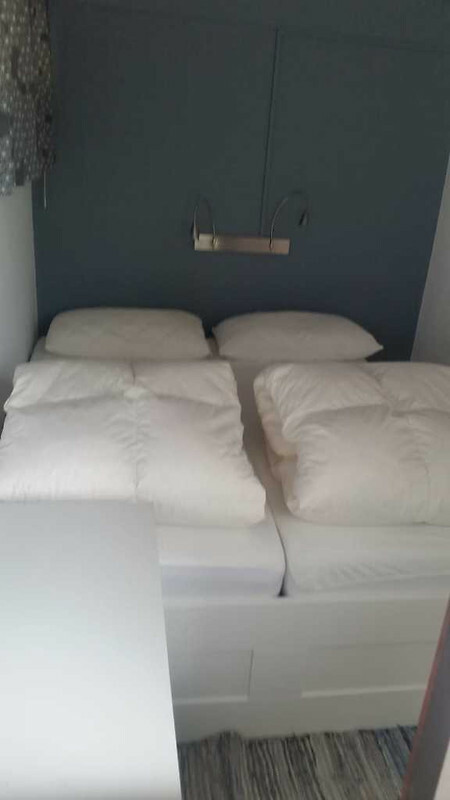 2 small bedrooms for a total of 4 persons. 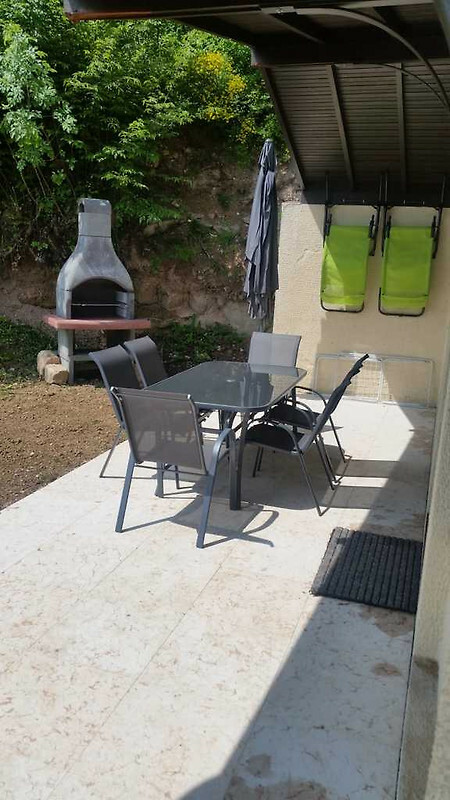 Terrace with garden furniture, sun loungers, parasol and barbecue. There is also a dressing room or cupboard room between both bedrooms. 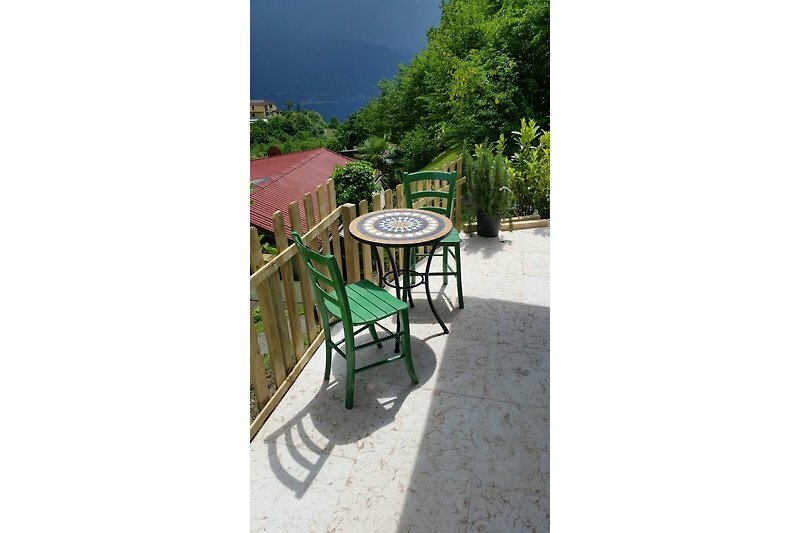 From the (covered) terrace you have a wonderful view of Lake Garda, the Monte Baldo and the surrounding mountain landscape. We have already cut trees, so there is a nice view! 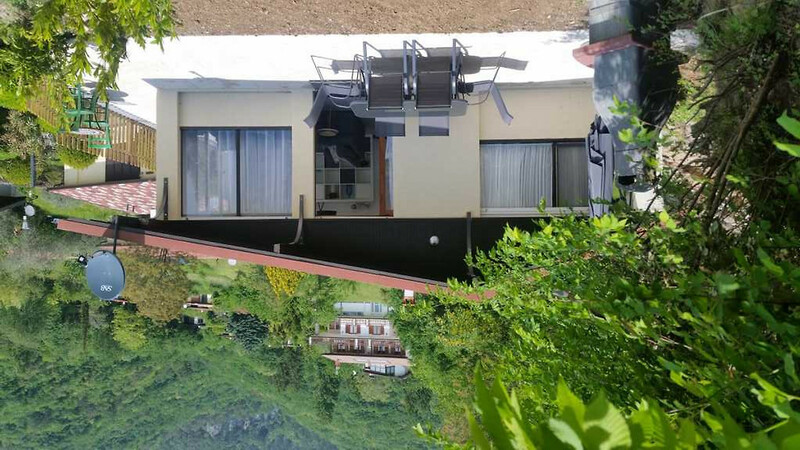 Bungalow park Villaggio di Sunclass is located in the municipality of Tignale (a recognized health resort) on the northwest shore of Lake Garda. There are numerous hiking, mountain biking, panoramic trails and viewpoints on the enchanting lake and mountains. The climate is pleasant even in midsummer and the nights are much cooler than down at the lake. The rental of bicycles and booking of other leisure activities is possible via the park management. In the resort you will find a reception, restaurant / pizzeria / bar, washing machines, a heated swimming pool with children's pool and slide, a playground, table tennis and more. Animation during the high season. Park Wi-Fi (for a fee about per week at the administration). The suburb Gardola is km away and offers among other things bank with ATM, post office, gas station, supermarket as well as several good restaurants and restaurants. 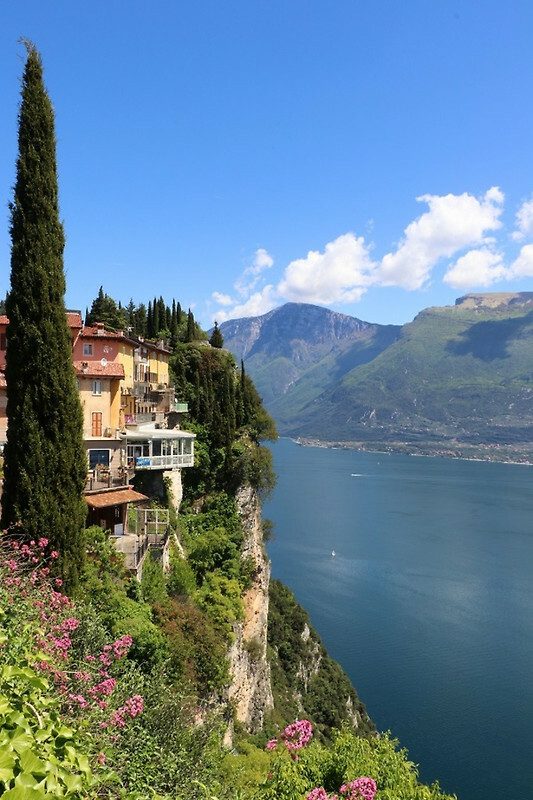 Those who prefer to swim in Lake Garda, drive in about 20 minutes to Lake Garda and find there various swimming places (Porto di Tignale or Gargnano). Per person is from 14 years a city tax of € per day due. Bed linen can also be rented. The bungalow is non-smoking and pets are not allowed. 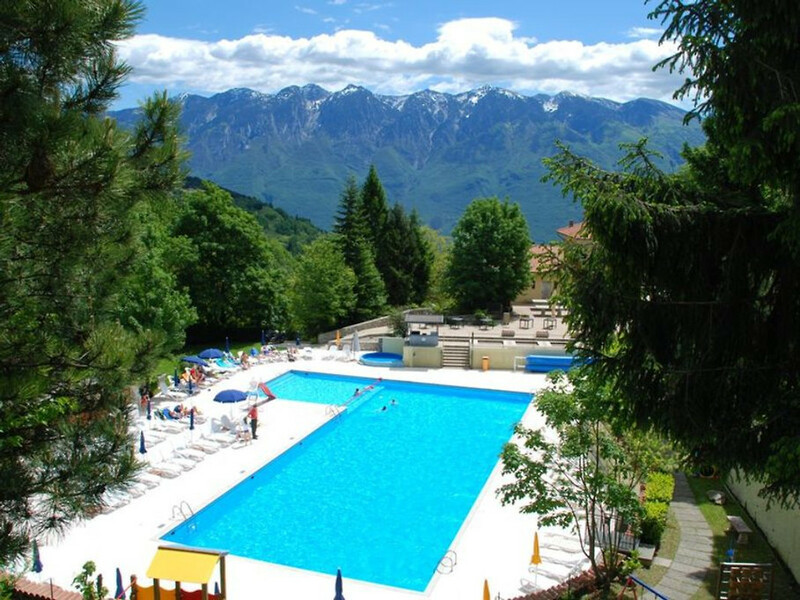 Heated swimming pool free to use from May to mid-September, during the season a lifeguard is hired. Towels, tea towels, linen to take with you. 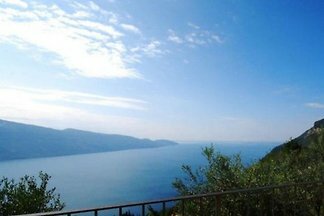 availability calendar Casa Tignale - is still being renovated! The house we bought in 2018 and belongs to meimen man me and our 2 children (8 and 11). We come from the Netherlands, the place Zoutelande on the coast and rent there also cottages. We will certainly like our house after our renovation, because we leave everything well maintained before it is rented in late May! 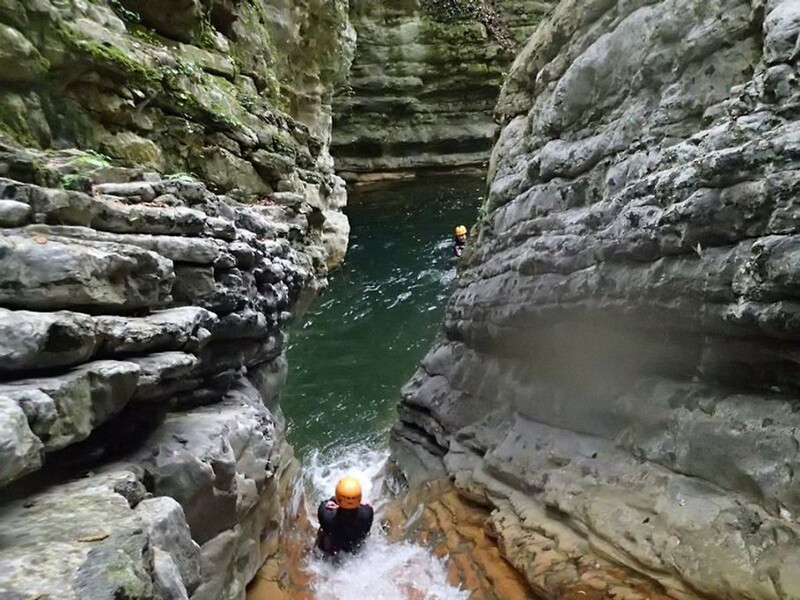 Die Anlage verfügt über einen schönen Pool. 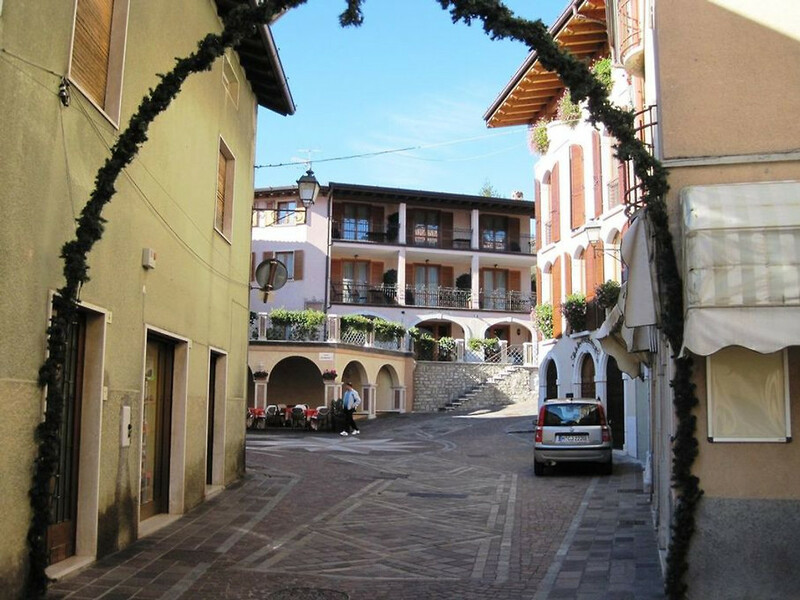 Das war unser erster Urlaub am Gardasee und wir kommen gern wieder. Der Norden des Sees ist wirklich imposant, eine tolle Mischung und immer mit einem spektakulären Blick! Besonders zu empfehlen für Eltern mit Kindern und Sportlern. Die Umgebung bietet wahnsinnig viele Möglichkeiten für Ausflüge. Mooi vakantiehuis in Tignale. Woning is netjes en compleet ingericht. Park is wel tegen berg opgebouwd, daarom wel steile weg naar receptie en zwembad, maar met auto is dat prima te doen. Op het park is ook een restaurant, helaas was deze vanwege een geschil gesloten tijdens onze vakantie. Het dorp is met een wandeling van 15 min prima te bereiken, hier vele leuke betaalbare restaurantjes en de bakker, slager en complete supermarkt. Wir haben mit unseren 2 Kindern von 8 und 12 eine tolle Zeit in der Casa Tignale verbracht. 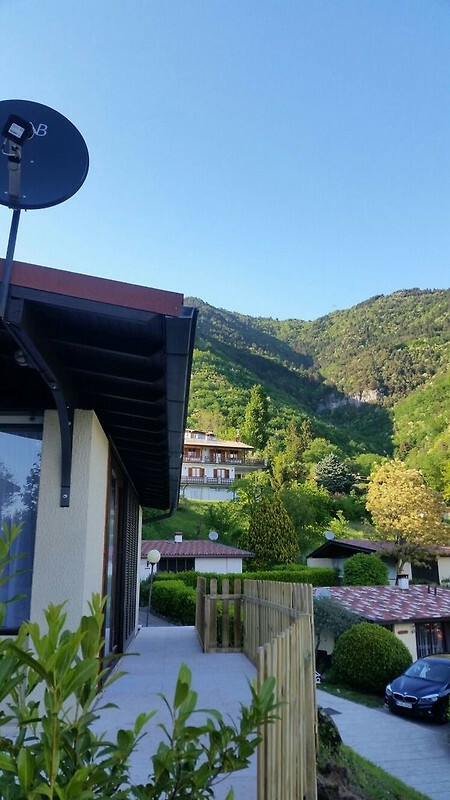 Ein schönes, geplegtes Haus in einer schönen,steil am Berg liegenden Anlage. Es hat an nichts gefehlt, es gab viel Platz zum Entspannen immer mit Blick auf den Gardasee und Monte Baldo... Die Anlage verfügt über einen schönen Pool. 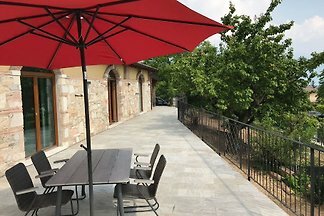 Das war unser erster Urlaub am Gardasee und wir kommen gern wieder. Der Norden des Sees ist wirklich imposant, eine tolle Mischung und immer mit einem spektakulären Blick! Besonders zu empfehlen für Eltern mit Kindern und Sportlern. Die Umgebung bietet wahnsinnig viele Möglichkeiten für Ausflüge. Die Vermieterin ist sehr nett.